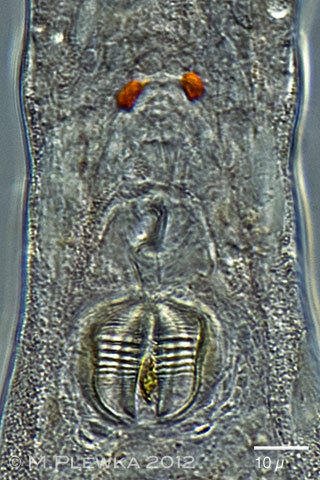 Habrotrocha collaris; left image: crop of the above image showing the foot. 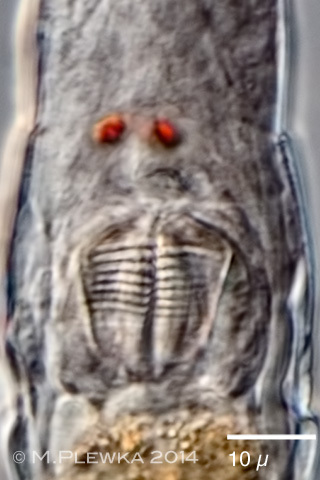 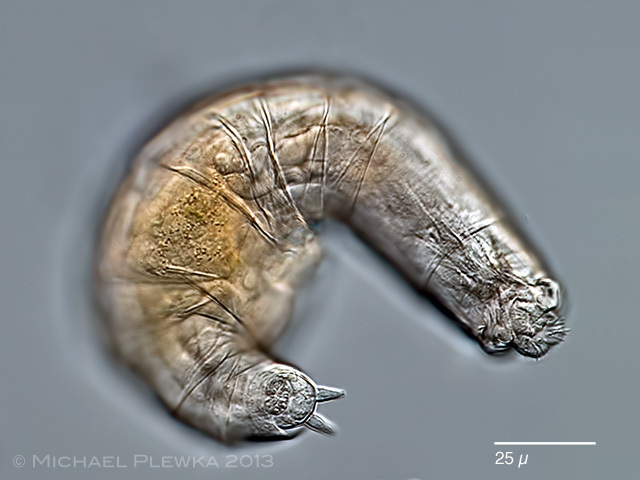 This specimen seems to have no toes but an adhesive plate (1). 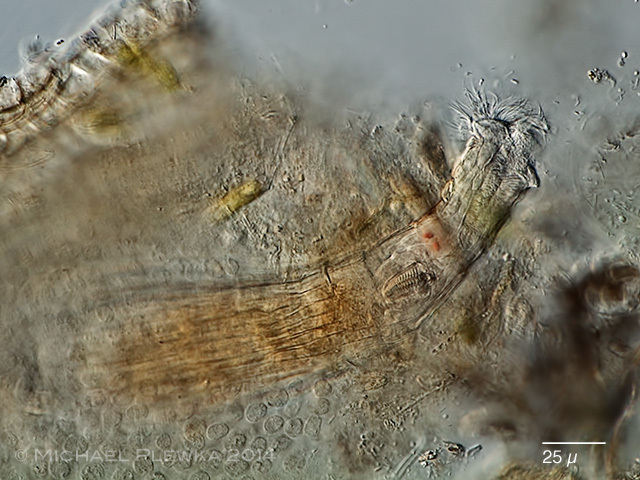 Right image: foot of the same specimen from sample (2) (see below). 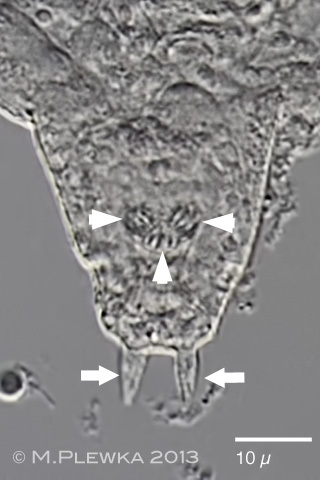 The spurs (arrows) and three toes (arrowheads) are visible. 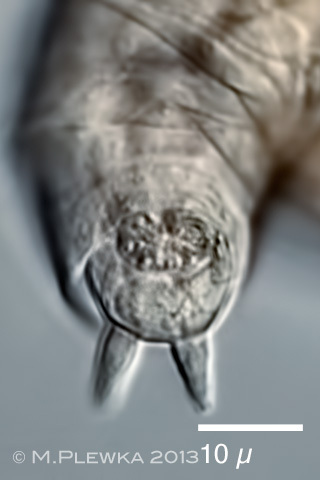 Because the specimen has been compressed the toes are somewhat displaced compared to the living specimen. 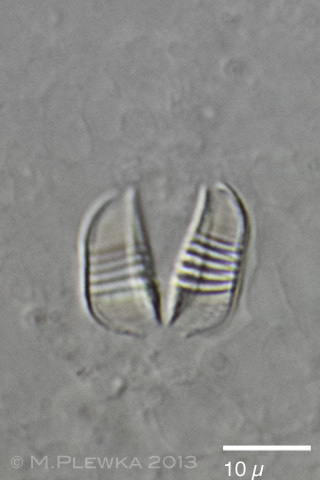 Habrotrocha collaris; left image: cerebral eyespots and trophi with dental formula 5/5 (1). 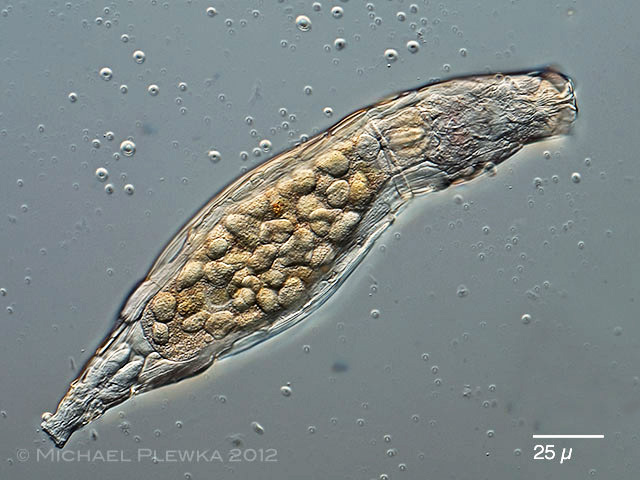 Right image: trophi of macerated specimen from (1). 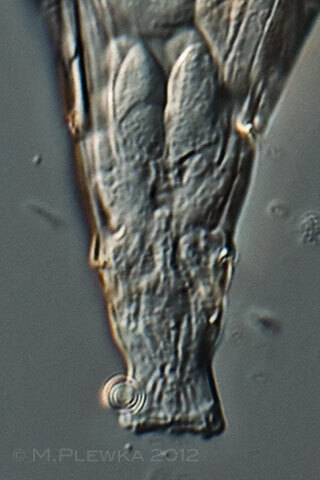 Habrotrocha collaris; left image: crop of the above image showing the foot (2) (see also upper image of compressed foot). 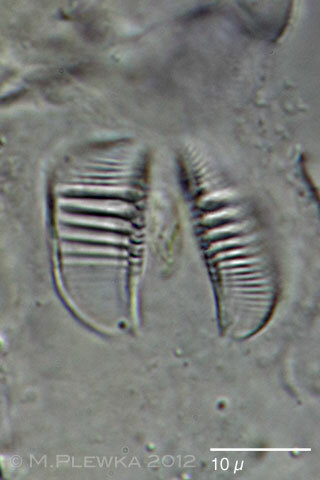 Right image: trophi of specimen (2), dental formula: 5/5. 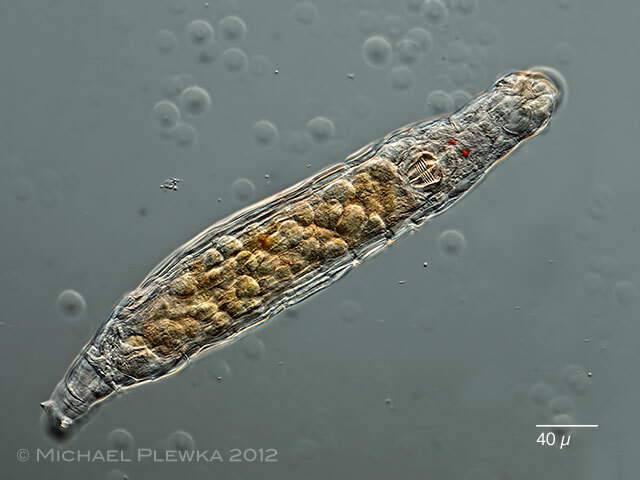 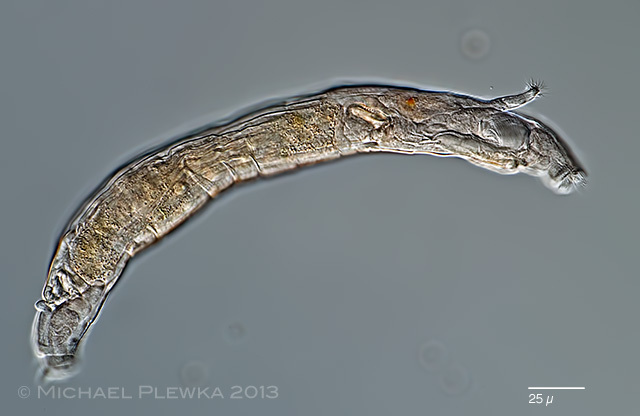 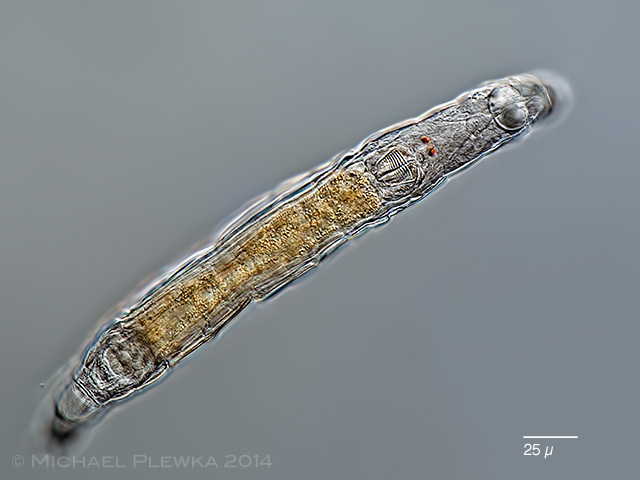 Habrotrocha collaris; this specimen from (3) is actually living in a gelatinous housing made with pellets. 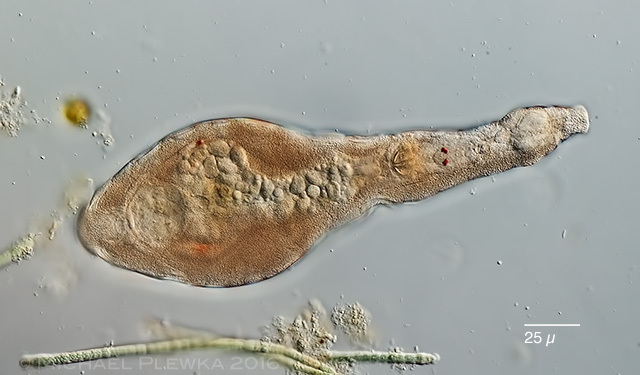 Habrotrocha collaris; same specimen like above, after being squeezed out of the housing, creeping.